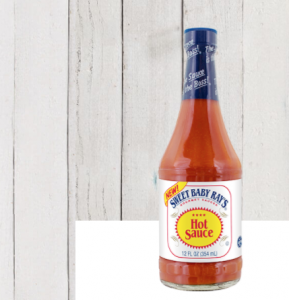 Savvy Spending: Kroger: Possibly Free Sweet Baby Ray's Hot Sauce coupon! Kroger: Possibly Free Sweet Baby Ray's Hot Sauce coupon! Kroger shoppers can check their account for an eCoupon valid for a FREE Sweet Baby Ray’s Hot Sauce 12oz Bottle – valid through June 12!